It was inevitable. I knew I would succumb to the Fourth of July sales! When I got of the office early on Thursday, I was on the hunt for a pair of denim shorts. Those have been on my list for a while, since I gave away or donated all the pairs I used to own (they were either too short or too tight). I did score a pair of jeans shorts from Gap on double sale (final total = $14.99). I should have stopped there, but nooooo, I just had to pop into the H&M across the street. About 45 minutes later, I walked out with all the rings you see above! 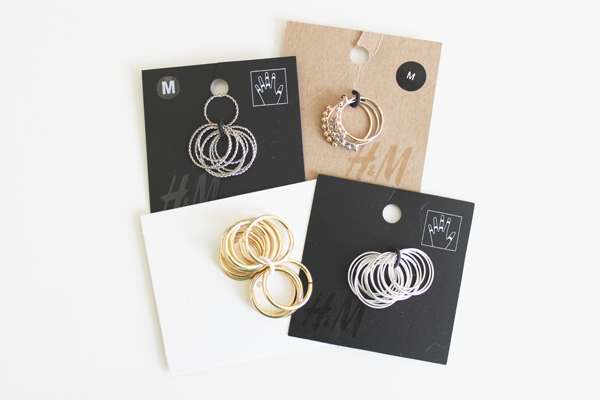 I’d wanted some more delicate rings and these sets from H&M were super affordable. 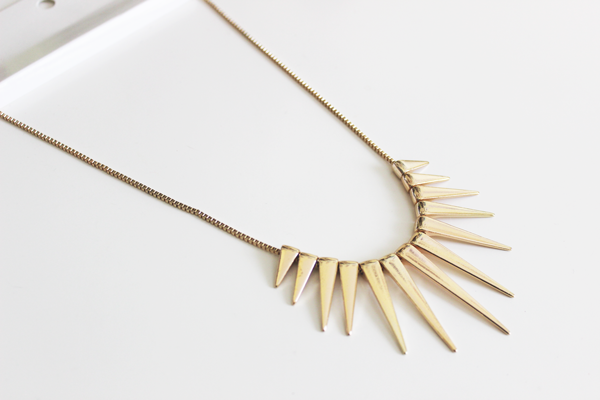 I also picked up a pretty golden spiked necklace from H&M, along with a lacy black tee. – enjoyed drinks on the rooftop at Birreria. – had a sleepover with a friend and talked about everything from books to bearded men. – finished the fourth Harry Potter book (so. many. feelings). – watched Victor and Victoria with my roommate (we loved it!). – had a few friends over and enjoyed donuts and chicken that my friend brought all the way from Federal Donuts in Philly. – watched the fourth Harry Potter movie. Tell me: Did you guys shop any of the sales this weekend? How was your Fourth of July?